The BX53 semi-motorised fluorescence microscope makes highly efficient imaging possible. Automation enables the imaging of large areas in high magnification and also facilitates multicolour fluorescence. 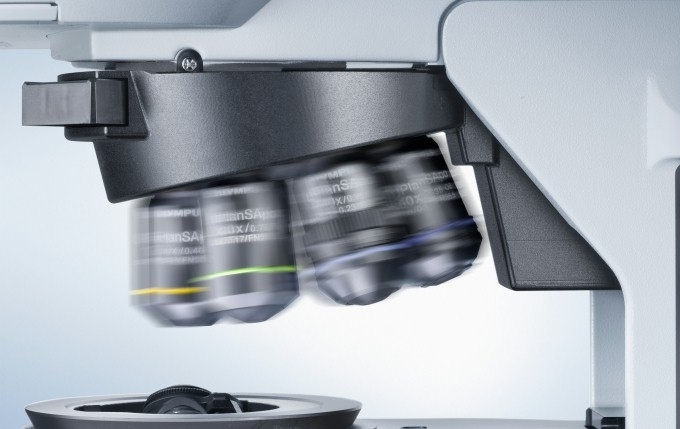 With its modular motorisation concept, Olympus offers the flexibility to motorise one or more components, right up to full motorisation of the microscope, ensuring you can meet operational requirements now and in the future. Advanced optics enable all common observation methods, including bright field, dark field, phase contrast, polarisation fluorescence and DIC. Olympus offers an impressive range of motorisation and automation tools for increasing the efficiency of routine and complex imaging and screening techniques. This offers the capability to perform more reliable examinations even more quickly, saving valuable time. The automation options work well in unison with each other, but can also be implemented as independent solutions, so users only have to motorise the function(s) they need to. This offers much greater flexibility and cost-efficiency, ensuring that the system is built to suit user needs. For imaging large areas in high magnification, multiple images are acquired using the motorised stage. These images are then automatically aligned and stitched together by the software into a single high-resolution image. Large areas, even the whole slide, can be imaged efficiently in this way. Multicolour fluorescence images require the acquisition of multiple images using different fluorescence filters. Automating filter switching enables image acquisition with a single click. Acquisition can become complex when different dimensions are combined, such as multicolour, time, XY (MIA) and Z-Stack. Motorisation allows you to automate and thus simplify the process, with all the necessary hardware settings being applied automatically. 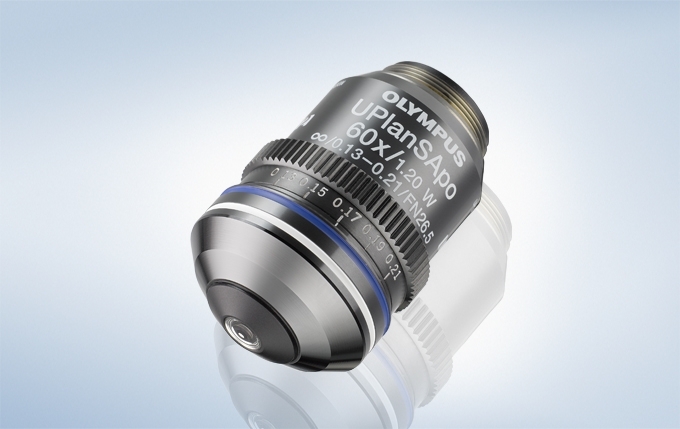 The UIS2 high NA objective lenses offer very high resolution to enable detailed observation with excellent correction of all optical aberrations, such as field curvature and chromatic and spherical aberrations, allowing the user to see all properties of the sample clearly. The BX53 system can grow as more applications are required. Bright field, dark field, phase contrast, polarisation, DIC and fluorescence are all options which can be either incorporated at the outset or upgraded later.